A breathtaking, enchanting new series by debut author Jessica Townsend, about a cursed girl who escapes death and finds herself in a magical world--but is then tested beyond her wildest imagination. 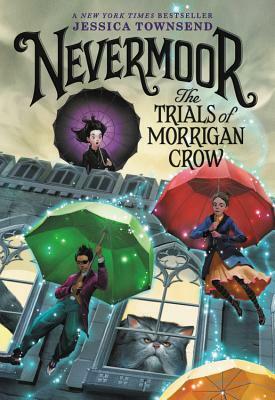 "Jessica Townsend's Nevermoor: The Trials of Morrigan Crow is more than just a spectacular debut. Exciting, charming, and wonderfully imagined, it's the sort of delightful, grand adventure destined to be many a reader's favorite book." * "Readers, like Morrigan herself, will feel at home in this evocative novel where magic and confidence go hand in hand. An excellent and exciting work." "The magical elements are well-written and clever...but the core of this novel lies in Morrigan's realization of her own value, of being a person worth attention and affection. A dark, mystical, and emotional look at a girl who has a complex relationship with magic in a sophisticated and lushly described world."